Need to make a deposit for your appointment ? Hiring The Henna Queen is a unique and creative way to pamper yourself, your family, and your friends. For a very reasonable price, you can bring a long-lasting, intriguing flair to any occasion. You will cherish these creative designs for weeks to come! Bless you and the baby! ​ a medium-large belly pattern. ​ (one side of hands only). 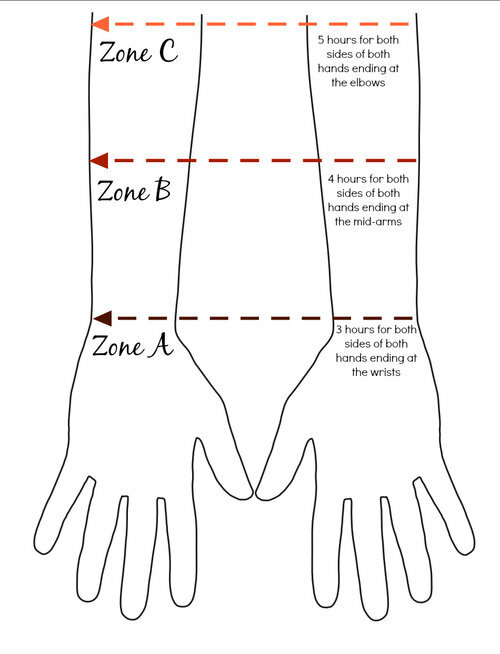 Please use zone sheets to help explain what kind of henna you you will be wanting. ​Include this in your message. ​Intricate designs on back of hands, palms and feet, going up the elbows, and half way up the shins. back of hands, palms and feet. Extends 3-4" past the wrist. ​Front and back of hands only (no feet), ending 2-3" past wrist. we can provide a small henna on your skin so you can see the quality of our mehndi stain, Talk about design concepts, or other questions or concerns you may have. If you decide to book your bridal mehndi with The Henna Queen, we will apply the $50 fee toward your bridal mehndi.